Post-Traumatic Stress Disorder (PTSD) is a condition that runs its victims down emotionally and physically. Though most frequently linked to combat veterans and sexual-assault survivors, PTSD can present itself following any traumatic experience, and that includes medical emergencies. Following a stroke and its resulting medical treatment, it is common for patients to feel overwhelmed. According to a study published in the journal PLoS ONE in June of 2013, almost one quarter of patients who survive a stroke will suffer from PTSD. Unfortunately, it is common for the symptoms of PTSD following a stroke to go unnoticed; due to the intense nature of physical recovery, the psychological hardship associated with it can lead to increased risk for heart disease or another stroke. After experiencing or witnessing a traumatic event, such as a medical emergency, natural disaster, or an assault, it is difficult to adjust to everyday life again. Some people may struggle with relaxing or sleeping, have flashbacks or unsettling memories, or feel constant anxiety. This psychological reaction is common and very frustrating. The good news is that it typically diminishes, and life returns to normal over the course of weeks or months, depending on the severity of the event. If a patient is experiencing these mental health symptoms for longer than a few weeks or months, whether constant or in waves, it is possible that they may have PTSD. It is important to know the signs and symptoms of PTSD so that you can recognize them in a patient or loved one you are caring for after a stroke. Common symptoms of PTSD include experiencing a traumatic event over and over again, having nightmares, or being unable to stop thinking about it. To add to these extremely uncomfortable experiences, victims can also feel general, unyielding anxiety and try to avoid reminders of the event that started their suffering. They can also be tortured with feelings of self-doubt or misplaced guilt after a stroke or other traumatic event, a state of hyperarousal, or feeling overly alert. These questions can help the patient discuss their symptoms and improve the likelihood of psychological recovery. Transient Ischemic Attack (TIA), also known as a mini stroke, can increase the likelihood of developing PTSD because the fear of having a stroke may become overwhelming. According to a study published in the American Heart Association journal Stroke, about one third of TIA patients develop signs of PTSD. Approximately 14 percent of TIA patients also experience a drop in physical quality of life, with 6.5 percent of patients experiencing a drop in mental quality of life. There are ways to relieve the strain of PTSD. Treatment for PTSD may include medication, psychotherapy, or both. Patients experiencing signs of PTSD should see a trained and qualified mental health professional as treatments may vary from patient to patient. A mental health provider or psychiatrist may prescribe antidepressants to patients struggling with PTSD. Antidepressants have been shown to relieve the symptoms of anger, sadness, and overwhelming worry better than other available medications. Sometimes referred to as “talk therapy,” psychotherapy can take place in a one-on-one capacity or in a group setting. Talk therapy is the process of speaking with a mental health professional and can encompass the discussion of PTSD symptoms alone or the effect such symptoms may be having on a patient’s life. PTSD can sometimes wreak havoc on a person’s social, family, or professional life. 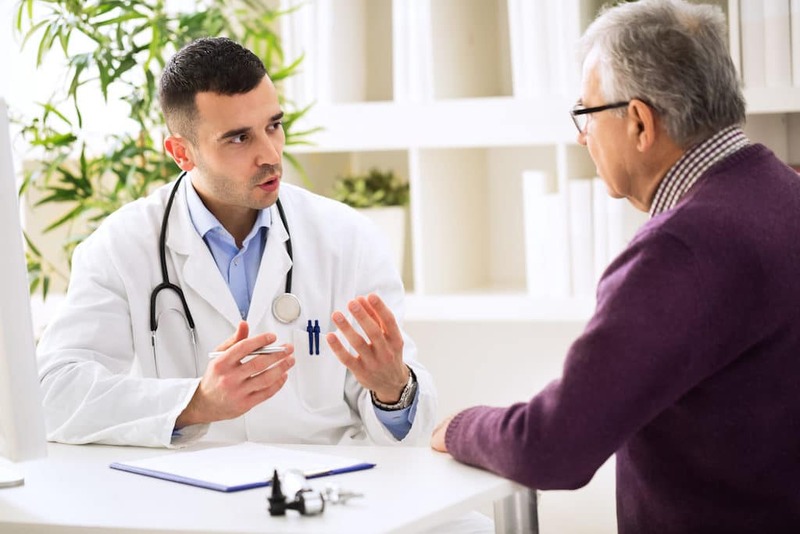 To help heal the damage, a mental health professional may combine multiple forms of psychotherapy to address any and all issues a patient may be having with the aftermath of a stroke or TIA. Most often, psychotherapy lasts six to twelve weeks, but it is not unusual for it to take longer to address each patient’s symptoms and struggles. Patients are encouraged to involve family and friends in their recovery because having the extra support can improve the speed and efficiency of mental recovery from a stroke. PTSD can plague individuals who experience or witness a traumatic event. Medical emergencies are often traumatic, so it is common for survivors of stroke to suffer from PTSD; survivors of TIA can develop PTSD because they may be scared of suffering another mini stroke or of having a full-fledged stroke. Symptoms can be very taxing on survivors and heartbreaking for their families to see. Fortunately, there are effective treatments for PTSD, including antidepressants and talk therapy with a mental health professional. If you are experiencing PTSD, it is important that you communicate how you feel with your doctor, family, and friends, as a strong support system can help you find the relief from psychological pain that you deserve.